Q. What is the proper way to rinse after using Alconox detergents in pharmaceutical cleaning? A. Alconox, Inc. detergents are all aqueous cleaners and designed to be free-rinsing. Free rinsing detergent means it will rinse away very easily or freely. But, as you correctly elude to, it does not mean that you do not have to rinse with water. For example a non-free rinsing cleaner might contain fragrances that were designed to deposit and leave a fresh scent, or it might contain corrosion inhibitors that are designed to deposit and leave behind an anti-corrosion film. Running water rinse for at least 10 seconds on each surface is desirable. If that is not practical, use a series of three or more agitated soak rinse tanks or at least two counter-flow cascade rinse tanks. Further details are available in Guidelines for Triple Rinsing. The quality of the rinse water is important for medical device, biotech, pharmaceutical and other critical cleaning applications. Tap water contains varying degrees of organic microbes, particulates, and hardness (iron, calcium and magnesium salts). 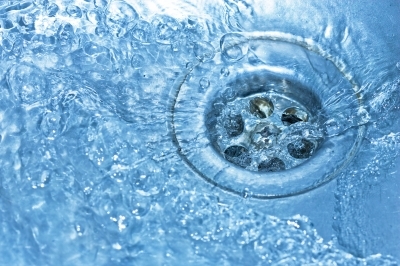 Rinsing with tap water and evaporating dry can deposit these contaminants leaving residue. In such cases, and where possible, you can remove the rinse water by blowing, wiping or using a cosolvent like alcohol that forms an azeotrope to evaporate the water off. 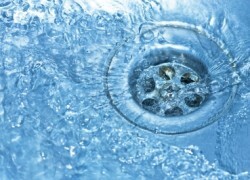 These techniques are capable of reducing or possibly eliminating residual tap water contaminants (water spots). However, using high purity water such as distilled water, deionized water, or RO (reverse osmosis) water are ideal for pharmaceutical and other related critical rinsing applications. ← What Alconox brands are EC 648/2004 compliant?